Source after source keeps talking about an Amazon tablet that will be sold alongside the Kindle, and once again the story has gotten more interesting. Amazon isn't just entering the tablet market with one product, but at least two before the end of 2011, according to a tipster cited by BGR. The entry-level tablet is codenamed Coyote and will be based on the dual-core Nvidia Tegra 2 platform. The second one is codenamed Hollywood and will be based on the quad-core Nvidia codename Kal-El platform (likely to be called Tegra 3). Other specifications, such as screen sizes, are still unknown. The rumor that Amazon is looking to build a tablet has been around for a while but it started to gain steam late last month, when it was suggested that Samsung would build an Android tablet for the online retailer. Earlier this month, a rumor claimed that the Amazon tablet had entered production, and that it would be shipping later this year. Monthly orders during the peak season were estimated somewhere between 700,000 units and 800,000 units. Last week, Amazon's president and CEO Jeff Bezos was asked about the possibility of the online retailer launching a multipurpose tablet device and he answered "stay tuned." 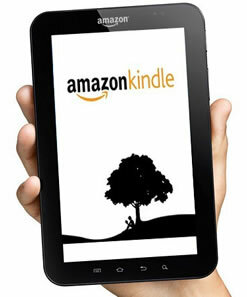 He also noted that such a potential device would be more likely to supplement than to supplant the Kindle, and that while tablet computers seem to be gaining in popularity, this doesn't necessarily mean the demise of e-book readers. The Kindle is the best-selling product on Amazon, and the company likely wants to keep pushing forward with it, but sporting a further reduced price tag. This would attract consumer demand from the education and consumer market, while the more expensive and more powerful tablet would be able to take on the broader market outside of the e-book reader space. In addition to the Kindle ecosystem, the company has the Amazon Android App Store, its Cloud Drive service, and is in the meantime making sure to support its Kindle app on tablets.